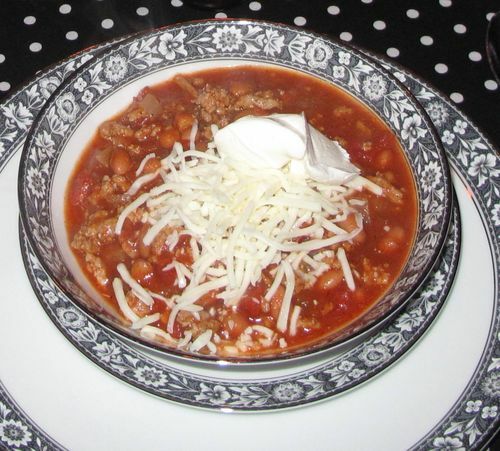 Our Dad's Chili.......one of the easiest and best chili's you'll ever find. Thanks Dad! Boil celery and onions for 15 minutes, or until tender. Meanwhile, brown burger with a little bit of onion, salt, pepper and season salt. Cook until meat is brown and drain grease if using ground beef. Add all ingredients to crock pot on low for 2-4 hours. Or bring to boil, and simmer for 1 hour. Serve with sour cream, diced onions and mozzarella cheese cubes.